Although policy and process are critical for modern IT, data center admins are often unprepared to shut off things when the need arises. The need may be as dramatic as an approaching storm, or just a mundane municipal power grid upgrade. But the way a business prepares for and responds to a facility shutdown can encourage or avoid costly disaster. 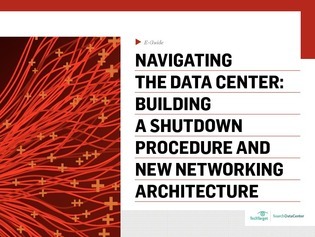 This expert resource will serve as your guide to conceiving and testing a proper data center shutdown procedure; in it you’ll also discover how to navigate the troubles modern data center networking architectures pose.